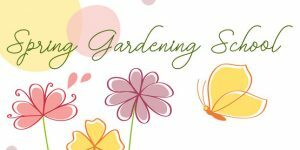 Now’s the time to buy the Long Island Gardening Calendar 2017, a perfect gift or stocking stuffer for the passionate gardeners in your life. 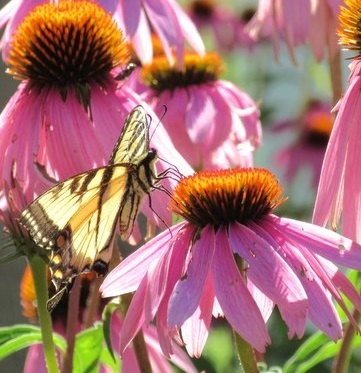 Plants for Pollinators is filled with tips for creating pollinator-friendly gardens on Long Island. With beautiful photographs every month, this calendar features information on how to support bees, flies, wasps, butterflies, moths and birds by planting native habitat for them. Blueberries, strawberries, apples, carrots, broccoli, and pumpkins are among many plants that require pollinator services to produce fruits and vegetables — which means we need pollinators, too! A flower fly visits a Rosa virginiana, a native rose. Photo © Mina Vescera. 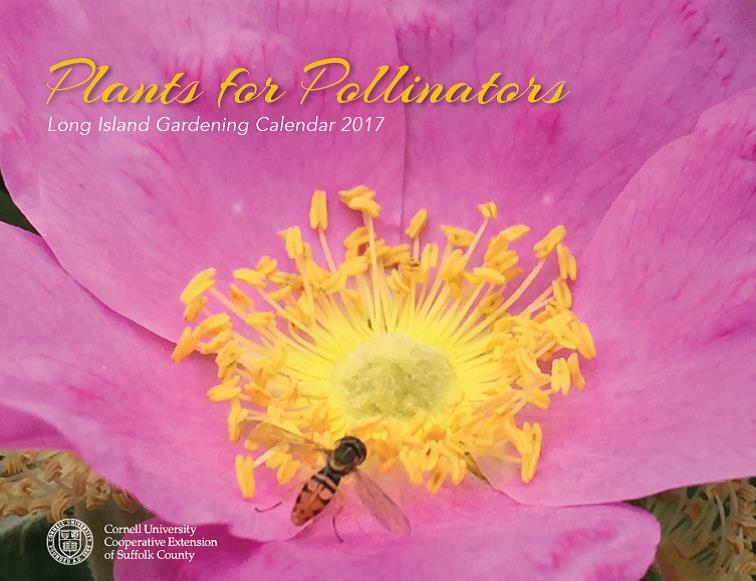 This high-quality calendar discusses how to analyze your landscape to plan a pollinator garden and how to include nesting habitat for insects, and gives you a resource list of organizations and websites where you can learn more about sustainable horticulture and pollinators. 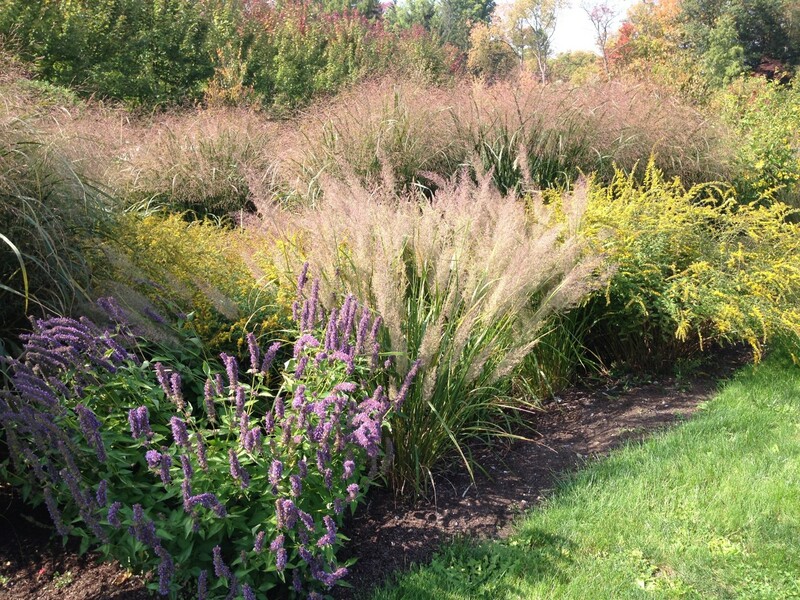 There’s even a list of where to buy native plants on Long Island! Purchase calendars at the front desk at CCE Suffolk, 423 Griffing Avenue in Riverhead for $5 each; or use this order form to have them mailed to you for $7 each to cover their cost with postage. Whether you’re a beginner or advanced gardener, there’s something here to inspire everyone who wants protect and support pollinators. It’s time to start planning for next year’s garden, and calendars are limited, so pick up or order Plants for Pollinators today! This entry was posted in Flower gardening, Growing food, Long Island gardening, Sustainable landscapes, Wildlife habitat and tagged 2017 gardening calendar, bees, butterflies, flies, gardening for birds, hummingbird gardens, insect habitat, Long Island gardening, moths, National Pollinator Garden Network, Native plants, plants for pollinators, pollinator gardens, wasps, where to buy native plants on Long Island on November 14, 2016 by Robin Simmen. When gardeners think of flowering plants, what usually comes to mind are annuals, perennials, and a few trees and shrubs. Although often overlooked, vines also have great potential in home gardens as they can create shade on pergolas, add vertical interest to arbors, adorn fences, or even serve as decorative ground covers. Our wonderful native honeysuckle attracts hummingbirds. Our native honeysuckle vine is a great choice for a sunny site. It will happily twine its way in and out of a picket or chain-link fence, arbor, or trellis. As the botanical name suggests, this vine is evergreen in a mild winter. Honeysuckle vine is among the first plants to bloom in spring, serving as a bright beacon for Ruby-Throated Hummingbirds making their way back from southern climes where they overwinter. This vine grows 15 feet or taller and can withstand hard pruning. Some cultivars bloom continuously with red, orange, pink, or yellow flowers from spring until fall, providing all-season interest. Honeysuckle is prone to powdery mildew, but siting it in full sun with good air movement will keep the plant in good health. Aphids can sometimes be a problem. Be careful: Don’t confuse this native honeysuckle for the invasive, Asian species, Lonicera japonica! Dutchman’s pipe is another great choice if you’re looking for a native vine to cover a large area. This woody-stemmed, twining vine requires a strong trellis, wall, or pergola to support it. It will tolerate sun to shade in any garden setting, from a manicured garden to a tough urban site. Dutchman’s pipe was a popular choice in the 19th century, draping over large Victorian homes. 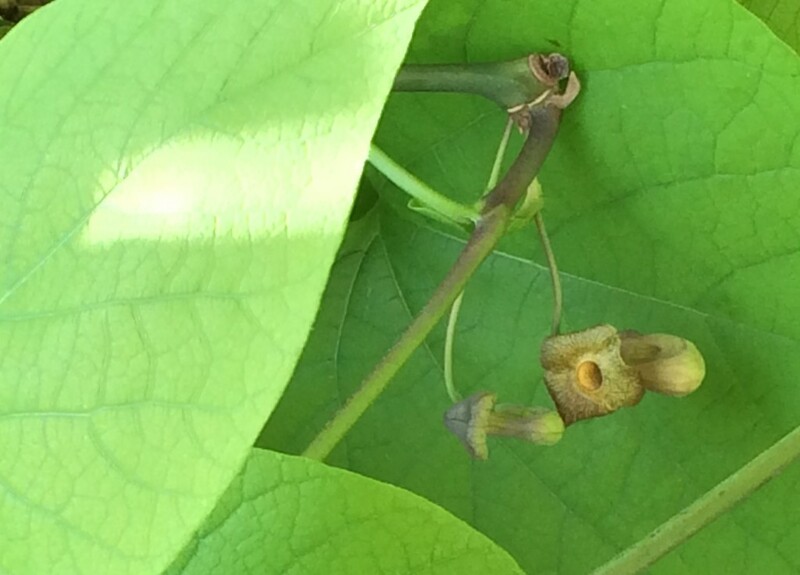 The vine produces small, inconspicuous, purple-brown flowers that produce a unique odor and are often pollinated by flies that crawl into the “pipe” and get stuck within the hairs inside the flower. Once a pollinator is caught, the flower hairs wither and the insect can crawl out, covered in pollen. If you’d like to invite pipevine swallowtail butterflies to your garden, this is their host plant. Dutchmans pipe creates a dense barrier of foliage. Blue passion flower, also known as hardy passion flower, is a unique option for a protected site. This passion flower is said to be hardy to USDA zones 7 and 8, but a harsh winter will probably knock this vine back to the ground. Passion flower climbs by tendrils, sometimes reaching 20 feet and higher. Unique purple-blue flowers are produced on new growth on and off throughout the growing season. If you’re looking for a native variety, Passiflora incarnata ‘Maypop’ is a hardy passionflower up to USDA zone 6. Pale-lavender flowers bloom throughout most of our growing season on Long Island. Maypop is also the host plant for the Gulf and Variegated Fritillary butterflies! Climbing hydrangea is a great alternative to English ivy. Like ivy, this clinging vine uses aerial roots to attach itself to porous, vertical surfaces. You’ll be graced by large, lacy, white fertile flowers surrounded by a circle of larger, white sterile flowers in summer (think lacecap hydrangea). Plant a climbing hydrangea in sun to partial shade in rich, well-draining soil. Though this vine grows well on the trunk of a tree, it is not healthy for a tree to bear the weight of another plant. Instead of a tree, choose surfaces like wooden stockade fences, stucco siding, and stone walls. Climbing hydrangea is notorious for starting off slowly and establishing its root system for a few years before it takes off. Have patience, it’ll be worth the wait! If you like to change it up every year, consider growing annual vines such as these in the morning glory family: moonflower (Ipomoea alba), cardinal climber (Ipomoea x multifidi), cypress vine (Ipomoea quamoclit), and the traditional morning glory (Ipomoea tricolor). Moonflowers open at night, providing bright-white, fragrant blossoms for evening dinner parties. Morning glories bloom in the morning and begin to fade by mid-afternoon. Gardeners often combine moonflower and morning glories together on one trellis to provide a continuous bloom day and night. Cypress vine and cardinal climber can be added for a pop of bright red to attract hummingbirds and other pollinators. Ipomoea spp. can be direct-sowed in a sunny site with good drainage. 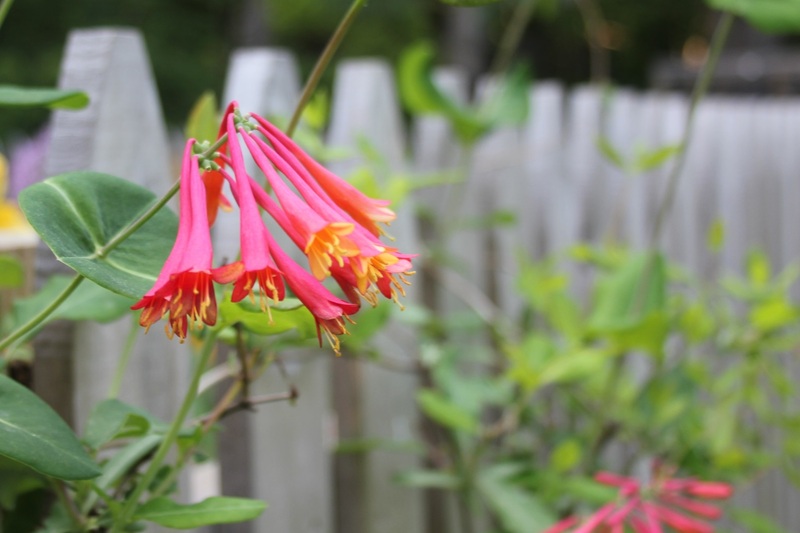 They grow rapidly, twining in and out of a trellis, arbor, or fence. 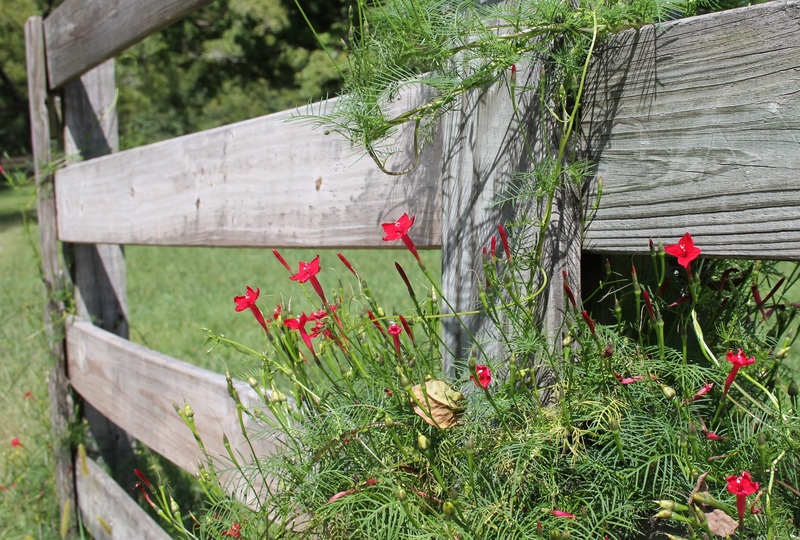 Cypress vine makes a great splash of color on a wooden fence. This entry was posted in Flower gardening, Long Island gardening, Native plants, Wildlife habitat and tagged aerial roots, cardinal climber, climbing hydrangea, cypress vine, Dutchmans pipe, Gulf butterfly, honeysuckle vine, hummingbird gardens, Long Island gardening, Maypop, moonflower, morning glories, Native plants, passion flower, plants for hummingbirds, ruby throated hummingbird, Varigated fritillary butterfly, vines on June 28, 2016 by Robin Simmen. Hairy Bittercress: A Mustard with Momentum! What is that battalion of tiny white flowers appearing all over the lawn so early in the season? The one with the lacy green doily at the base, and sword-like seed pods, and the maroon cast? Gasp! It is the hairy bittercress!!! Now before you call out the weed police or haul out the weed killer, consider this: Did you know that hairy bittercress is a very important early source of pollen and nectar for bumblebees? As such it should be conserved along with (double gasp!!) dandelions. Bittercress plant with flowers and seed pods just starting to develop. Photo by Andrew Senesac. Now that we have that out of the way, let’s settle down to learn a bit about hairy bittercress habits and some do’s and don’ts for dealing with an outbreak of it. This weed grows best in damp, recently disturbed soil. Be wary of digging it up in spring because this practice opens holes for crabgrass to emerge. A winter or summer annual, different varieties of bittercress have different heights. A key characteristic is its basal rosette, a “doily” like circular array of leaves at the bottom of the plant. The weed will germinate in fall or winter but grows best during warm weather. It quickly invades thin turf especially where there is good soil moisture. Shade encourages its growth, and it may escape mowing by low growth. 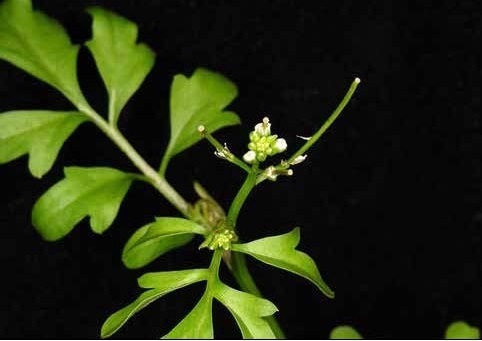 Post-emergence control for it generally includes using 2, 3, or 4-way herbicide; treatment during its basal rosette stage is best before it throws up a flower stalk and begins to produce seed. Hairy bittercress thrives in sandy, organic soil. Wash your nursery containers rather than leaving them around with soil clinging to them—dirty containers harbor its seed, with six times more seedlings emerging from dirty containers than from those that are rinsed. Also, containers lying around tend to breed Asian tiger mosquitoes! Now you have two good reasons to clean up your containers. Hairy bittercress has exploding seed pods but little germination of fresh seed. Instead, its seed ripens with high temperatures. The higher the temperature, the greater the temperature range at which subsequent growth will take place. Hairy bittercress can germinate from April through November; however, autumn is its main period of emergence. Peak flush of germination is in November and December, but this varies from year to year. We don’t notice these plants until spring when they throw up flowers and seedheads, seeming to mock us from our winter-bound vantage points as we eyeball our winter weary lawns. Just remember: Each hairy bittercress you allow to flower helps support our vital pollinators when they really need the nectar and pollen these plants provide. So help out a bumblebee, and leave hairy bittercress alone if you can; it’s an annual so it’s gonna die anyway…. 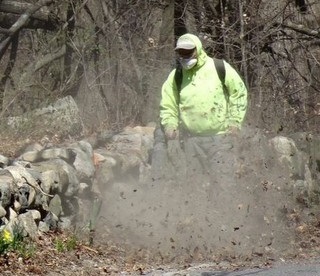 This entry was posted in Lawn care, Long Island gardening, Sustainable landscapes, Wildlife habitat and tagged bees, bumblebees, cleaning containers, crabgrass, early forage for pollinators, hairy bittercress, Long Island gardening, pollinator gardens on April 8, 2016 by Robin Simmen. Have you had trouble with voles over the past few years? Our harsh, snowy winters have created ideal environments for voles to thrive. Voles can wreak winter-time havoc on young trees, shrubs, perennials, and your lawn. Fall and early winter are the best times to implement controls for mitigating the damage these small creatures can do. 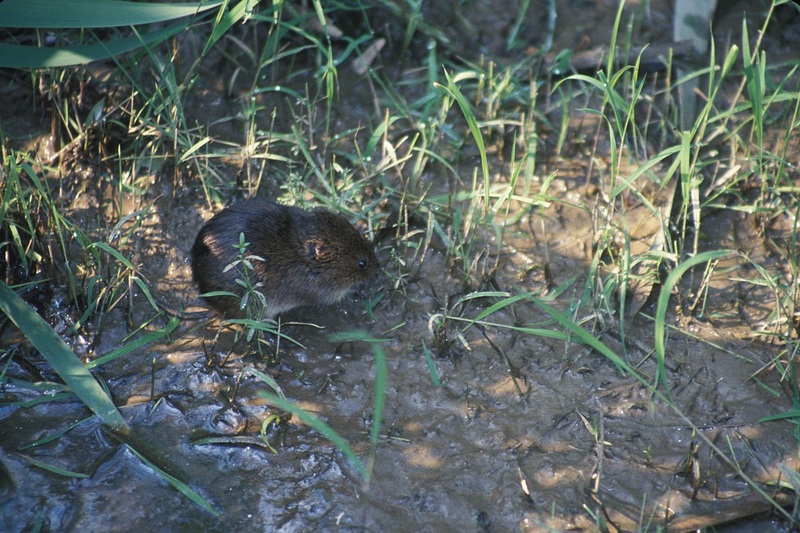 The meadow vole is common on Long Island. Photo by John Mose. A vole is a small rodent resembling a mouse but with a stouter body, a shorter, hairy tail, a slightly rounder head, and smaller ears and eyes. Two species of voles reside in New York State: the meadow vole (Microtus pennsylvanicus) and the pine vole (Microtus pinetorum). You can read descriptions of each and more about their biology and habits in this Voles fact sheet on our website. Hidden from predators, voles happily travel under snow cover, feasting on blades of grass and the bark of trees and shrubs. Voles like to gnaw around the circumference of woody plants until they are completely girdled. Once the snow melts, the damage is clear: long, 2-inch wide runways of beaten down, damaged turf grass, and woody plants that suddenly die after the first flush of spring growth. Clean up piles of leaves and branches. Remove grass and weeds from around trees and shrubs (this area should be clear of grass anyway to prevent injury from mowers or line trimmers). 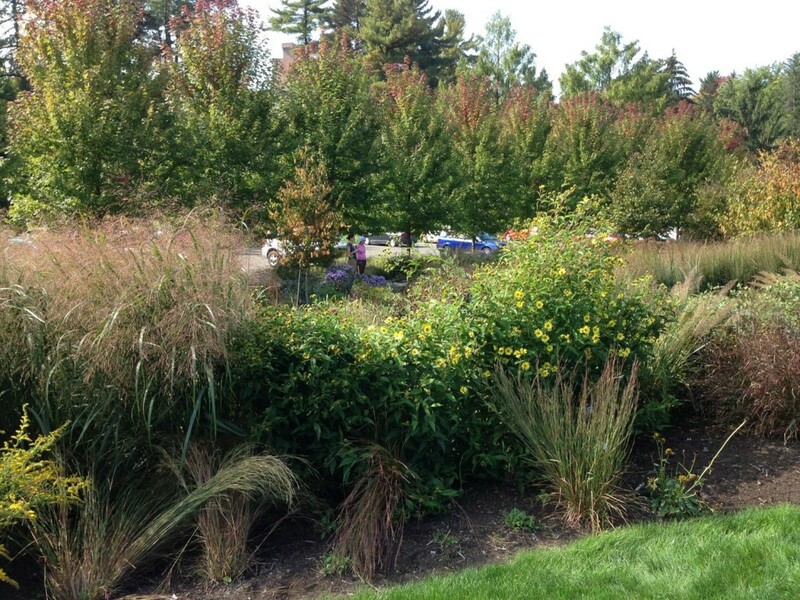 Bare soil is ideal within the first few inches of ground that surround plant bark. At most, put only a very light layer of mulch there. Don’t mulch excessively in flower beds as this will favor vole activity. Before it snows, install fine-gauge hardware cloth around tree trunks to prevent voles from chewing young wood. Make your last lawn mow of the year slightly lower than normal to discourage voles from creating surface trails through longer grass. Lowering the mower deck to 3” works well. If you find you need to control the population of voles on your property, try using snap-back mouse traps placed in boxes with holes on either side; this is one of the more effective control methods. Populations of voles tends to be highest in the fall and before our first snowfall, so act now! This entry was posted in Lawn care, Sustainable landscapes, Wildlife habitat, Wildlife pests and tagged lawn damage, Long Island gardening, meadow vole, mulch, pine vole, voles, winter injury to woody plants on December 11, 2015 by Robin Simmen.